Keynote speaker Noemi Katznelson is one of the most sought after speakers on subjects such as youth and education. She can cover wide areas and targets her keynotes specifically for each customer. Due to her extensive research on the subjects, she is able to motivate and educate audiences, so participants can gain greater knowledge on understanding todays youth. Noemi Katznelson holds a Master in pedagogy and history with a Ph.D. in educational research and is today one of Denmark’s most recognized youth researchers. 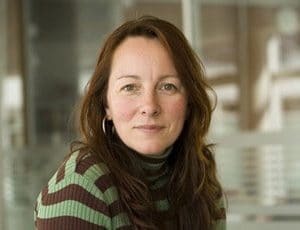 Noemi is the director of the Centre for Youth Research at Aalborg University in Denmark, and her key focus areas are: Youth, education, transition to secondary education, occupational training, vulnerable young people, guidance and motivation. She focuses particularly on the changes that are happening in the youth culture, with emphasis on their relationship to education and work. In 2013 Noemi received the Mads Rasmussen Award for her large research and effort into creating awareness and understanding of occupational training and its value for society. In addition to her research and keynotes Noemi Katznelson handles many honorary functions including her co-chairman of the newly created Council of Secondary Education, member of the Academy for New Nordic School established by the Danish Ministry of Education and Vice-President of the National Dialogue Forum for career guidance under the Ministry of Education. She is a member of an expert committee appointed by the Danish Prime Minister under the Ministry of Children, Education and Gender Equality, the purpose of which is to ensure that more young people complete an upper secondary education. Noemi Katznelson has released numerous publications in the field of youth and education research and is the author of several books regarding youth, education and the motivational crisis in the education system.